turned up for a bite to eat on the live frogs they were using for bait. 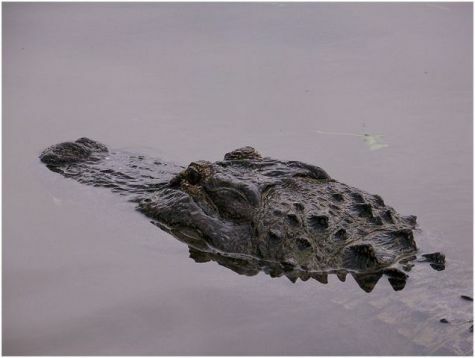 The gator was only 3 feet long and not considered to really be a threat, but it is still shocking to find yourself face-to-face with one in a northern lake where you would be more likely to have an otter or a turtle surface in front of you. Officer Scott Arntzen of the Minnesota Department of Resources responded to the sighting and went out to search Goose Lake. He found the culprit and killed it with a shotgun. A second alligator that had also been reported to be in the lake was not found. Authorities say that both of the reptiles were the pets of someone in the area. 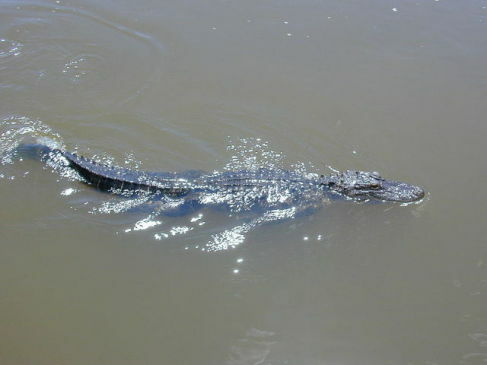 Alligator (Photo by Jan Kronsell/Creative Commons via Wikimedia)When asked about the need for the shooting, Arntzen commented that alligators didn't belong in Minnesota lakes and had no business scaring the anglers there. One thing is for sure, those boys are going to have the fish story to end all fish stories for the rest of their lives. Who else is going to be able to say that they faced down an alligator in a Minnesota lake? To put it in the Minnesota native vernacular -- oh, ya! Ya, sure, you betcha!